I like fruity scents and naturally gravitate towards them be it a home fragrance purchase, a perfume or even a dessert but berries unless strawberries never appeal to me. I see them as something better suited to Christmas type scents and not something I would personally burn and yet Yankee Berrylicious is the perfect fragrance for summer. Personally it reminds me of my childhood as it smells very similar to blue Push Pop lollipops? Weird isn't it and not something that sounds all that great on paper but trust me it is wonderful. It is sweet but not sickly and really uplifts the mood of a room, I have burnt this a few times in the last week and not a single person in my family has failed to comment on how wonderful the fragrance is. That alone is no small feat as we all have really different tastes. It isn't strong but not unnoticeable either. Obviously not everyone who reads this will be of the same age as myself but if you grew up munching on push pops and want a little nostalgia I would recommend this. I would also give this ago if you like bright, cheery scents but I must warn this is by no means an authentic smelling berry scent of any description. 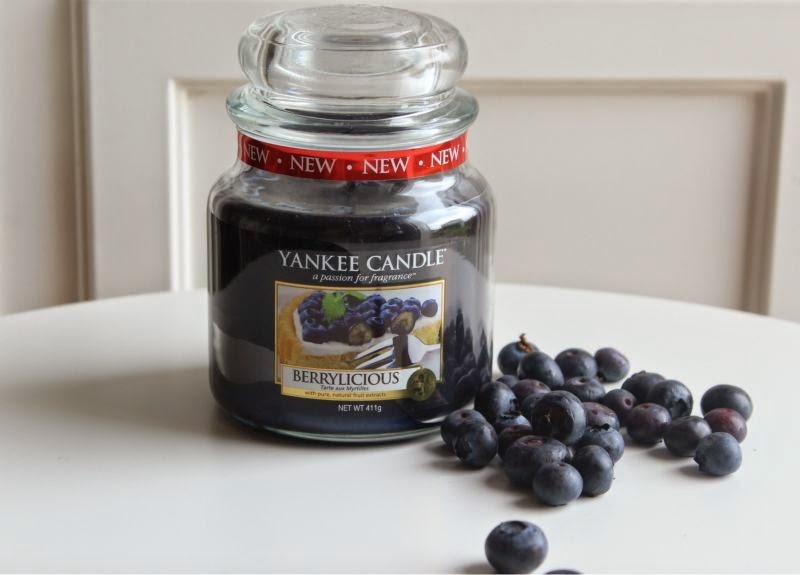 You can find the Yankee Berrylicious scent via Love Aroma in various sizes £6.99-£19.99 here - link.